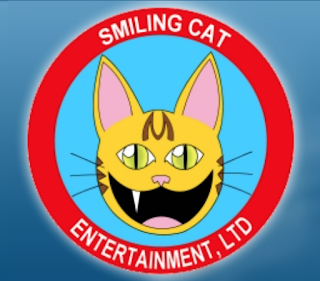 Smiling Cat Entertainment is a family friendly gaming company out of central Ohio. Duke Paulus, the founder of Smiling Cat Entertainment out of central Ohio, has been gaming since the Atari 2600. His parents helped nurture this love for gaming by helping Duke to build an amazing library of games. This love for playing transformed into a love for programming. By age 6, he discovered computer programming could result in actually making your own games and that was it. He dedicated his youth to learning everything he could. By the time Duke graduated from high school, he was fluent in BASIC, Pascal, C, and the x86 assembly. Nintendo Love Affair had the opportunity to sit down with Duke and find out more about what he does, and the games that Smiling Cat Entertainment develops. NLA: Tell us a little bit more about you. How did you end up forming Smiling Cat? Duke: After spending my public education years learning everything I could about programming I went to DeVry, first in New Jersey, and then in Columbus, Ohio. While there I wound up taking a co-op position with a small firm. That spun into a consulting role and before I knew it I had a long, successful career in line-of-business software development, something I vowed at 12 that I would never do. Game development had been relegated to a back-burner hobby. NLA: Did you almost give it up? Duke: I still made demos and had projects, most of which never got anywhere near completion due to the massive amount of groundwork needed at the time to build an engine from scratch. The year was suddenly 2009, and a good friend of mine put me on to a relatively new game engine called Unity. It was a perfect fit. All the nuts and bolts that I knew, but never had time to assemble myself, were already there. I could actually for the first time focus on make a game. NLA: Is this what lead to Smiling Cat Entertainment? Duke: Once I had the right tool in my hands, I realized that I still had this lifelong ambition that I had to fulfill: to make video games. I started putting aside the time, seriously, each week and before I knew it I had released a small library of games. That is what Smiling Cat Entertainment has been about - making games happen, actually releasing them, learning from all of my mistakes, and seeing if I can spin this into a living. NLA: What is the story behind Dehoarder 2? It is a very… unique idea. Duke: The whole Dehoarder concept was born in the pressure cooker of the Ludum Dare competition. Ludum Dare is a popular game jam event that takes place three times per year. Participants strive to build a game from scratch within 48 hours, based on a theme that is announced at the start of the competition. 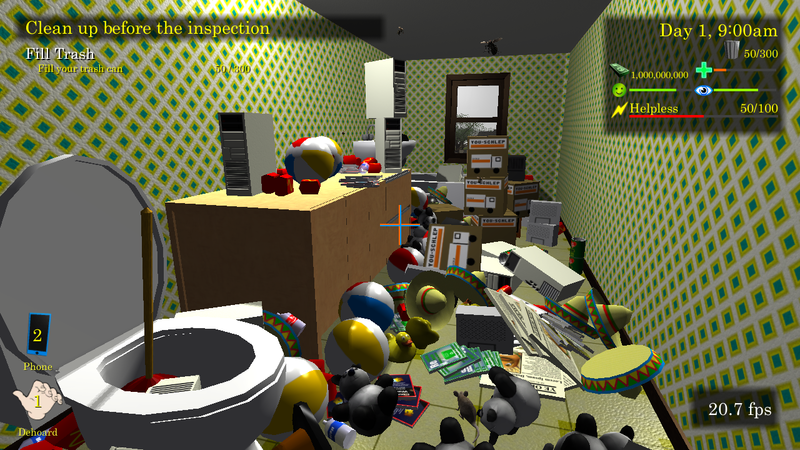 For this particular event in which Dehoarder was created, the theme was minimalism. While many interpreted the theme as being about building a minimalistic game, I took a different interpretation, and make a game about minimizing one’s lifestyle. Of course, there is only so much game that you can make in 48 hours. Still, the game made enough of a splash that I thought it was worth revisiting for a sequel. NLA: What is the motivation behind “dehoarding”? What does it do for the player? NLA: While I watched the trailer, I couldn’t help by smile and feel a little depressed at the same time. The concept was humorous but sad. Duke: Then I think the trailer did its job. 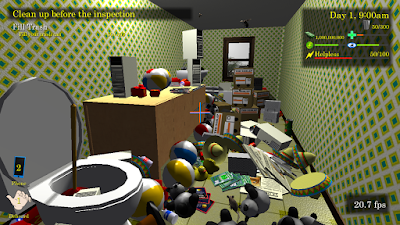 Hoarding can be a rather depressing topic, however, when served with a good dose of absurdity, humor, and hope, the result is a little more bittersweet than depressing. NLA: You have a few finished games that are pretty cool. 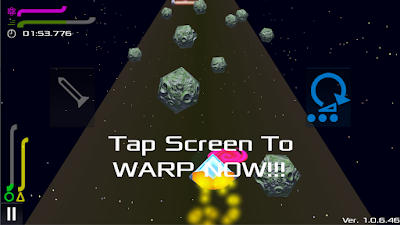 Breaking Block, Prepare for Warp and Vintage Pachinko are all available now. Of those three which would say has been the most successful? Duke: Breaking Block by far has had the most downloads, though the big suprise is that Vintage Pachihnko has been my biggest success in terms of revenue. Hitting over ten thousand download with Breaking Block is a real milestone for me. NLA: Which one of those three games is your pride and joy? 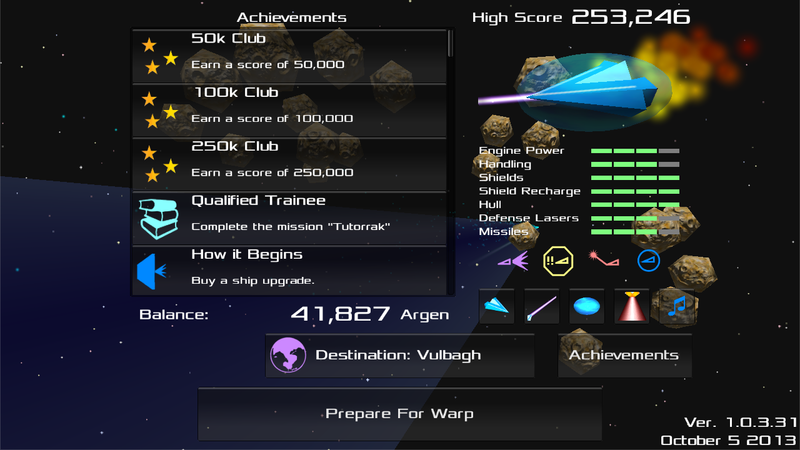 Duke: Prepare for Warp is the one that I am most proud of, even though it never gained traction. IT is such an adrenaline-builder, especially in later levels. I still can only beat the last level about fifty percent of the time when fully powered up. 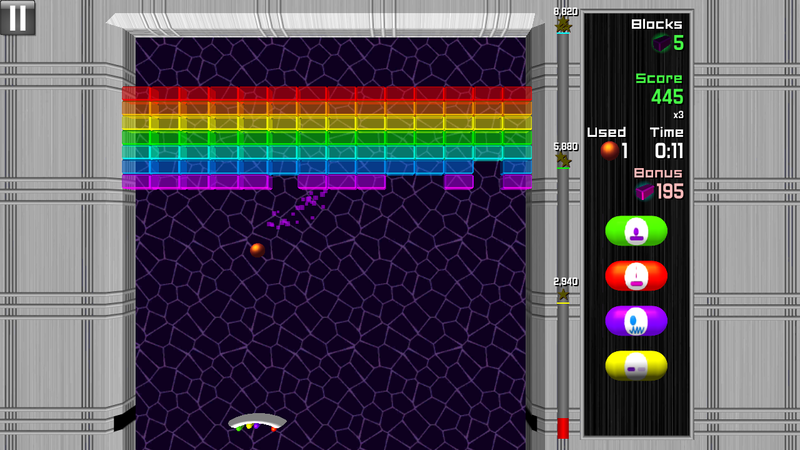 Duke: That would be Breaking Block with its 108 levels. 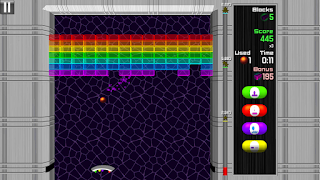 Each level had to be individually designed and tested, Then, the whole game had to be tested end-to-end, to make sure 100% completion work properly. NLA: Do I see an Atari inspiration for Breaking Block? Duke: Yes. Early prototypes looked even more similar to the Atari classic. A block breaker game was alsways something that I wanted to do, because I’ve long had some ideas on how to make it better. Duke: One examples is the “last brick” problem. Block breaker games tend to lost most of their excitement toward the end of a level, because there are fewer blocks to aim at. It is easier to miss and then you are waiting forever for the ball to come back to the paddle. So, I added some tension to the situation by making the enemies able to home in on and destroy blocks. It really speeds along the end of the level, plus allows for some interesting mechanics like the bonuses for getting the last block as well as all blocks. NLA: Are there any other classic references? 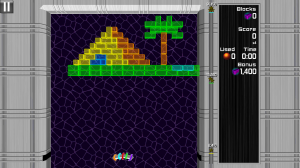 Duke: There are homages to many other classic games hidden within Breaking Block. I’m not even sure I can list them all off the top of my head anymore. 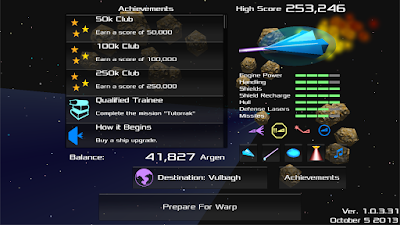 NLA: Prepare for Warp seems like a fairly complex game to develop. What was it like developing motion controls as well as utilizing a touch interface for an arcade shoot? Duke: Using motion controls, at least in thw ay that I am using them, is very simple. I get data from the gyrospope in the form of rotation angles, and then it is easy to translate that into motion on screen. Where motion controls start to get complex is when you start trying to recognize patterns and gestures, such as a bowling swing. Duke: I was very suprised, though, by how many people are put off by motion controls, even when they are so natural for games like Prepare for Warp and Breaking Block. NLA: And the touch screen? Duke: As far as touchscreens, they are a pain to work with, not technically but logistically. They can’t be used in such a way that the player’s hands obscure the on-screen action. Also, I don’t think they are viable as a substitute for traditional control schemes such as a d-pad, analog stick, or even a digital button. Touch screens are much less tactile than traditional game controls. NLA: How did this affect your game design? 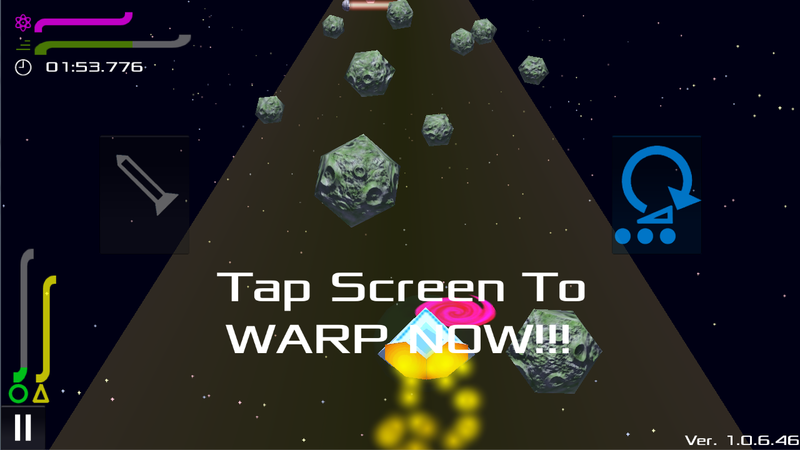 Duke: In Prepare for Warp, one thing you notice is that the main laser is automatic, which means no mashing the screen continuously with your thumb. 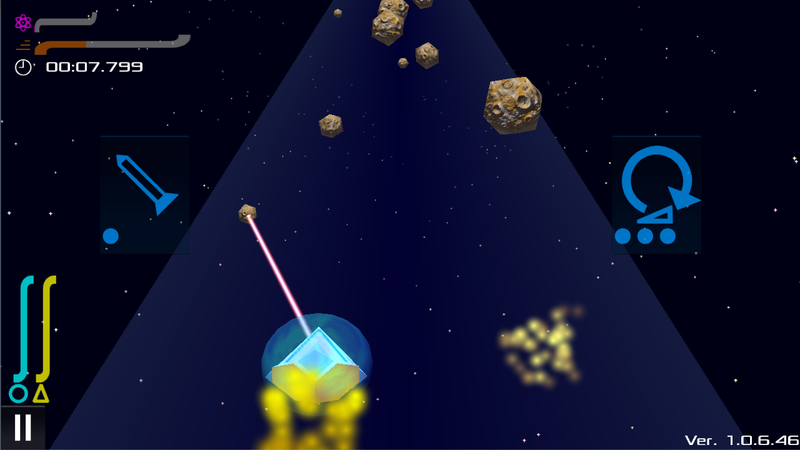 Then, I give (the player) a couple of good-sized buttons for auxiliary actions such as rockets and evasion. I tried to place the buttons so that they are easily reachable with the player’s thumbs. Since everyone’s thumbs and screens are different some user adjustment is allowed there. NLA: When can we expect to see Dehoarder 2 released? Duke: Right now, I do not have a specific release date in mind for Dehoarder 2, as I do not have a sense for when it will be Greenlit. At the moment I am dividing my gamedev time between Dehoarder 2 and a new collaborative effort with some other developers in town under a new studio name, Ivory Skies. Once Dehoarder 2 is Greenlit, then that will become the priority again for a while. I expect the release a few months after getting Greenlit! We’d like to thank Duke Paulus for his time and answering these questions! Keep an eye out for Dehoarder 2 on Steam, and check out his other titles, Prepare for Warp, Breaking Block, and Vintage Pachinko available now! Link added to the article! Thanks Duke.